The main things to consider when selecting doors and windows are safety and ventilation. Is a stall door that swings into the aisle a hazard? If you prefer a mesh door for ventilation, how can you keep shavings from spilling into the aisle? 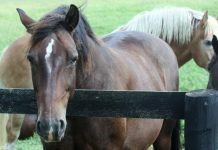 Because horses love to hang their heads out of their stalls, should you have a yoked top door so that your horses are not tempted to jump through? 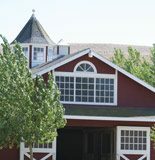 Do you want windows that open to the outdoors, or an exterior Dutch door to turn horses out into separate paddocks? 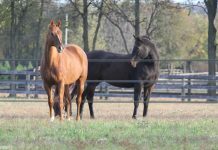 The answers to these questions can be determined with the sales representative from a barn or custom stall manufacturer. 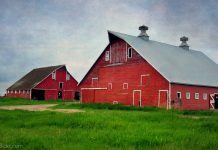 If you are building the barn yourself or acting as a contractor, you’ll still need answers for these same questions.